We all have more or less very little perspective about tea/chai. We also do not have many people who show their love towards making tea more appealing and showing the world that there is more to tea. 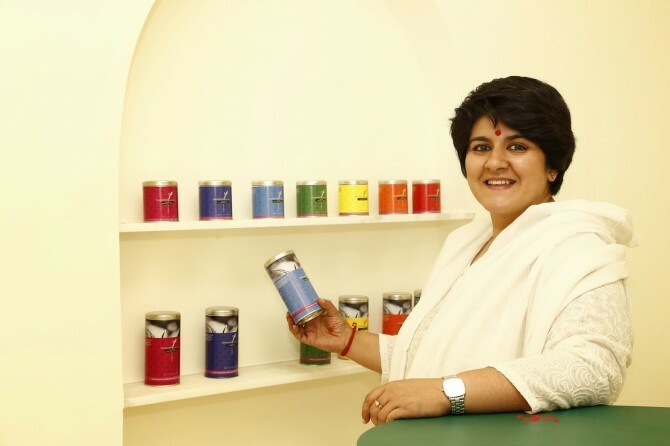 Meet the lovely Anamika Singh who has been a tea sommelier for 26 years now ! She was absolutely sweet and she definitely did tell me so much about the different blends I was more than happy to know about it, being a true tea lover ! How did you get to become a tea sommelier. What was the trigger behind that ? It is more like I was born, brought up and grown in this environment. I have been in this industry for about 25-26 years now. My father has been into this business for 48 years now. This was something that really interested me. We have had tea estates in Darjeeling. Now we are in Dharmashala. Around 1989-1990, there were just 2 other women who were tea sommeliers. At that time, people would get very curious when I told them that I was interested in becoming a tea sommelier. I always liked going to factory to see how the productions and manufacturing is done. So, it was a very natural thing for me. How did Anandini Himalaya Tea come into existence ? The tea room is based in Delhi. It was started two and a half years ago. There were a lot of teas that were out there. People didn’t know much about the tea they were exposed to . There wasn’t much people knew about the blends. There is more to tea than just normal chai.I wanted to educate people and there was a lot that could be done with the products of India. We know exactly where we’re getting the products from. 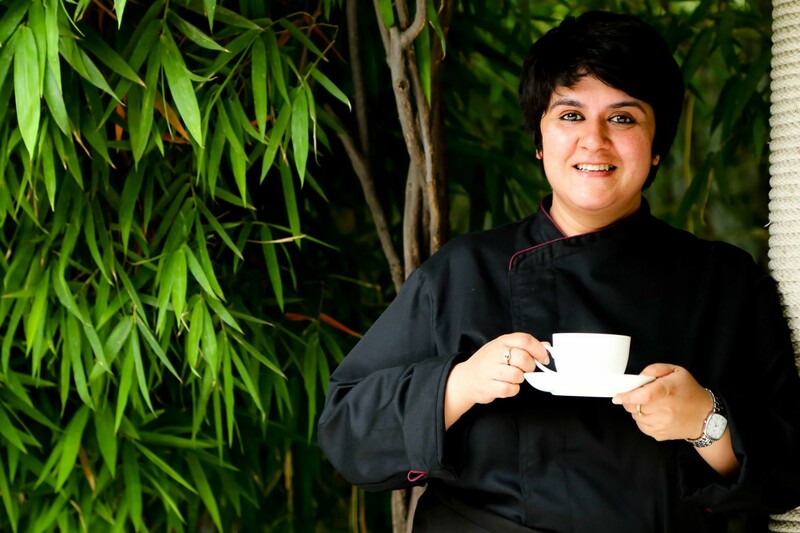 How different is India from the rest of the world when it comes to taking up Tea sommelier as a career ? A lot of men are there who are at the auction house. But then,there is still a gap between production house and the retailing house. It would be great if there is someone to bridge the gap. It is important to have a strong footage and understand the intricacies and the details. Its more like, if you were to paint and didn’t know much about the different kinds of painting that could be done, there is only so much one can do. You get a different perspective if you understand in depth. I got my hands dirty in the factory. I have been lucky that my father has been around. There are hardly any courses here in India on this. So, it comes more out of experience. What are the biggest challenges that you have faced ? Everyday is a challenge. I like meeting people. Based in India, I love making people understand about tea. It is always nice to educate on how to differentiate between good and bad. Not many women are out here in this industry. It sometimes becomes difficult to put across a point. Since I love doing this,it is happy challenge. All the tea sommeliers who I know are really hard working. It is a tough job. What are your biggest learnings ? To be absolutely focussed and to remain consistent. To connect with people and to give quality stuff. No matter what happens, if you believe in what you’re doing, then you have got to stick to it. What advise would you give to upcoming Tea sommeliers? Pay attention to quality. If there is no quality attached to it, then there is no meaning to it. Don’t choose a quicker path. There should a sense of responsibility to what you produce and what is being offered to people. Who has been your biggest inspiration and why ? My dad, Abhay Singh, for sure. He was at one point handling 20 different tea estates. He was in charge of all the aspects, be it manufacturing, production, labour,exports etc. There is so much that I have learnt from him.He still continues to be my idol.